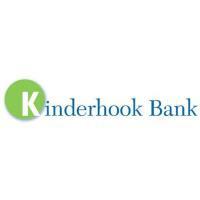 KINDERHOOK, NY., November 16, 2018 – Kinderhook Bank Corp. (“KBC”), (OTCQB:NUBK), the holding company for The National Union Bank of Kinderhook (the “Bank”), announced record earnings for the nine months ended September 30, 2018. Net income available to common shareholders was $3.3 million, or $2.50 (diluted) per common share, for the nine months ended September 30, 2018, compared with $1.0 million, or $1.38 (diluted) per common share, for the nine months ended September 30, 2017. Results for the first nine months of 2018 included an after-tax gain on loan sales of $275 thousand or $0.18 per share (diluted) as well as an after-tax loss on sale of securities of $124 thousand or $0.08 per share (diluted). Results for the first nine months of 2017 included an after-tax charge of $486 thousand or $0.46 per share (diluted) of one-time merger and transactions costs related to the Bank’s acquisition of Patriot Federal Bank which was completed on November 10, 2017. Total assets at September 30, 2018 were $636 million compared to $481 million at September 30, 2017. Net loans grew at an annualized 9% rate for the first nine months of 2018. KBC also announced that at its October 23, 2018 meeting, the KBC Board declared a quarterly dividend of $0.25 per common share to shareholders of record on October 30, 2018, payable on November 13, 2018. The dividend represents an increase of $0.01 per share from the prior quarter, and represents the eighth consecutive year that the Board has increased the dividend on common stock. In operation since 1853, and celebrating 165 years serving the community, Kinderhook Bank’s main office is located in Kinderhook with branches in Albany, Amsterdam, Canajoharie, Chatham, Delmar, East Greenbush, Greenport, Johnstown, Latham, and Valatie NY. This news release may contain statements relating to future results of KBC’s and the Bank’s future results that are considered “forward-looking” statements within the meaning of the Private Securities Litigation Reform Act of 1995. These statements are based on the beliefs and expectations of management as well as the assumptions and estimates made by managing using information currently available to management. Since these statements reflect the views of management concerning future events, these statements involve risks, uncertainties and assumptions, including among others: changes in market interest rates and general and regional economic conditions; changes in laws and regulations; changes in accounting principles; and the quality or composition of the loan and investment portfolios, technological changes and cybersecurity matters, and other factors. Forward-looking statements made by KBC in this news release speak only as of the date they are made. Events or other facts that could cause KBC’s actual results to differ may arise from time to time and KBC cannot predict all such events and factors. KBC undertakes no obligation to publicly update any forward-looking statement unless as may be required by law.